We found outstanding Maine Hotels and Suites for your Maine adventure. Discover a fabulous historical island Inn with the amenities. In Ogunquit stay oceanside at an amazing Ogunquit ocean front hotel with a great dining and sensational spa treatments. Choose from Maine village hotels and motels, to country hotels, and elegant sea-side hotels with suite rooms and decks offering views of the Atlantic ocean. 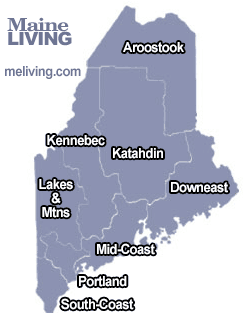 Ask us about Maine hotels or share reviews. 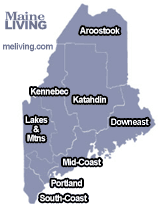 To feature your Maine Lodging, contact us. The Best Western Freeport Inn is located in the coastal towns of Freeport and Yarmouth Maine, minutes from Portland, the Desert of Maine and all the Outlet shopping the area has to offer. Did we mention LL Bean? It's just up the road along with some of the finest dining coastal Maine has to offer including our own Freeport Inn Café and the Muddy Rudder Restaurant. Pets welcomed for a minimal fee. Please request a Pet Friendly room.